Richard Sharpe was President of CAPS Logistics, Inc. CAPS is a logistics software and services company providing leading-edge solutions (supply chain network design, supply planning, transportation planning and management, and private fleet routing) to Fortune 500 companies worldwide. Competitive Logistics, LLC (CL) was established. Competitive Logistics developed a unique software application called Competitive Logistics Rapid Application for Data Analysis and Reporting or CL.RADAaR™, an application greatly enhancing the speed and quality of CL's supply chain analysis efforts. Customers asked more questions about operational information instead of optimization results. Therefore, Competitive Logistics changed the solution offerings to provide performance information. Competitive Logistics was honored with the Penn State's Smeal College of Business Annual Award for contributions to the advancement of supply chain management. Customers asked for profit information, therefore Competitive Logistics added revenue data to the Cost to Serve analytics and became profit driven. Competitive Logistics LLC becomes Competitive Insights, LLC (CI). Also, CL.RADAaR™ becomes CI.RADAaR™. The name was changed to reflect that the values of CI.RADAaR™ reached beyond the logistics function. The insights provided value cross-functionally. In order to deliver results, Competitive Insights provided hundreds of pages of reports. The analytical results were difficult for customers to process. Therefore, CI.RADAaR™ became a cloud-based application. This allowed the insights to be easily accessible with filtering and drilldown capabilities available anywhere and anytime. 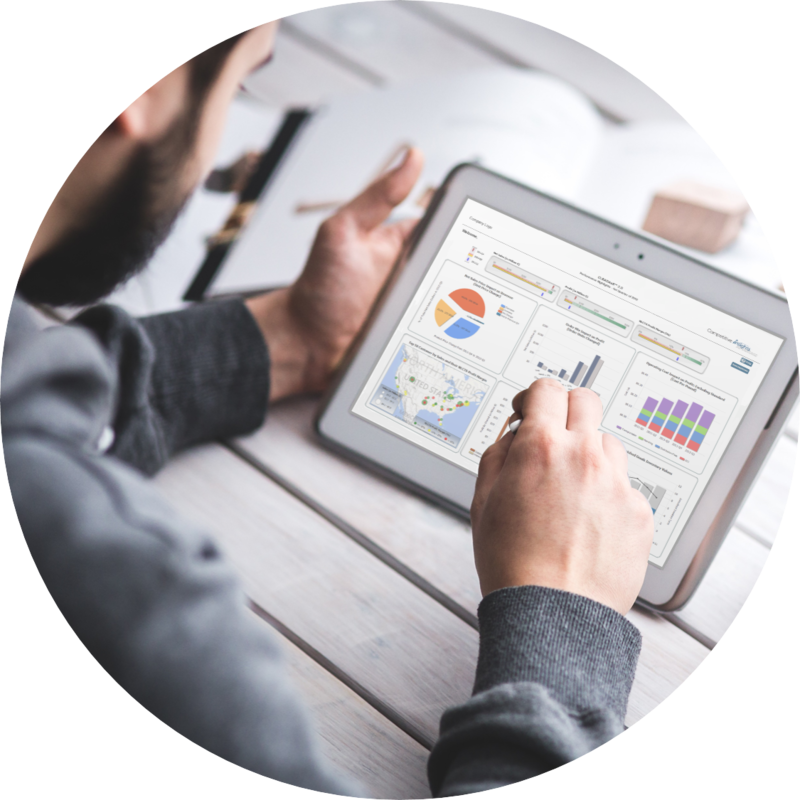 Competitive Insights converts to a Software as a Solution (SaaS) provider. SaaS is a software distribution model in which applications are hosted by a vendor or service provider and made available to customers over a network, typically the Internet. By using this type of platform, users get the benefit of efficient maintenance and upgrades to the system at a lower total cost of ownership (TCO). Competitive Insights, LLC Named “Cool Vendor” by Gartner. Competitive Insights continuously enhances the visibility for smart growth with innovative advanced analytics, improvements in streamlining data governance and better functionality for business users to make data-driven decisions.